Elite Designer Homes is the experienced custom home builder to turn to for the best in personalized service, attention to detail and flexibility. We possess all of these qualities and more; and all of them are important to the process of creating a house that you can proudly call your home. Our staff of highly qualified individuals all share one thing in common- passion for home building. It is this passion that drives us toward perfection in all areas of design and construction. From the laying of the foundation to landscaping to putting the finishing accents on a home’s interior, no detail is overlooked. 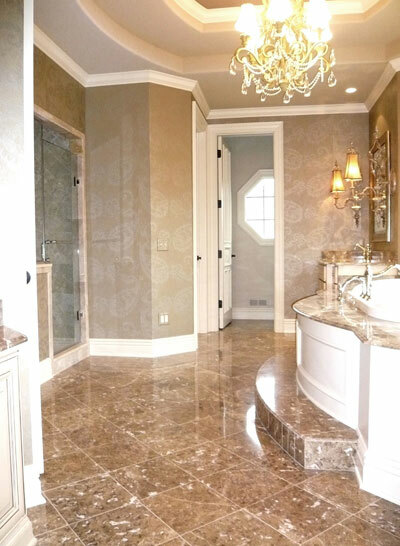 At Elite Designer Homes we realize that your dream home should be a reflection of you. We make sure to include all of the details that are best suited to your taste; from the cabinets and trim, kitchen and bathrooms, to closets, décor and more. The necessities are just as important as your personal preferences. We install superior insulation, high-quality windows and other top-grade materials to make certain your home stays just as beautiful and comfortable for the years to come as it did on the day you moved in. Since the beginning, Elite Designer Homes has been creating superior homes and continues to reach new heights in the industry in Northeast Ohio. We take an innovative, dynamic approach to the process that always results in a great home and a satisfied client. We are eager to begin working with you to transform your dream home into a striking reality. See our current developments in Sharon Center, OH, just minutes from Medina and Fairlawn. In order to create these high-end homes, we work with only the most qualified subcontractors. We only work together with companies that meet our highest expectations from the combined quality and value they have contributed to each of our homes. We respect and appreciate their strong sense of business ethics and workmanship. Those of us at Elite Designer Homes are extremely proud to have them represented in our work.